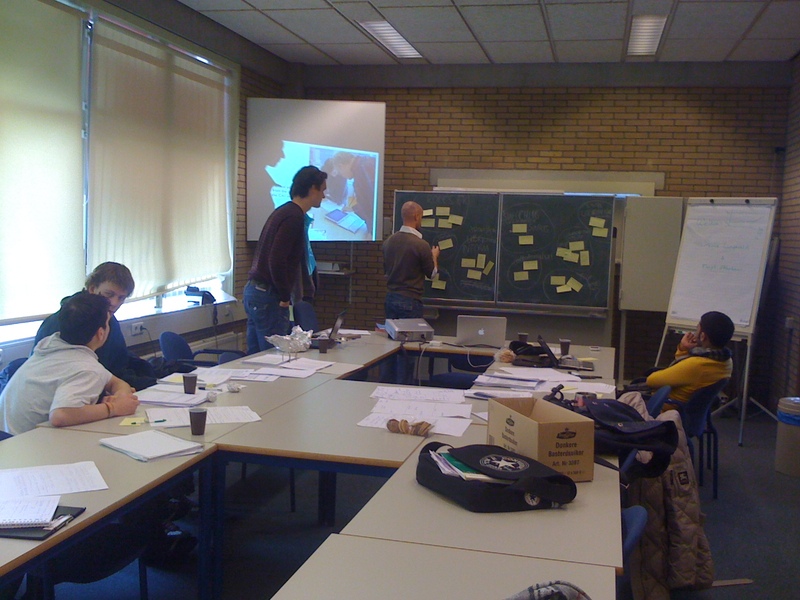 Today we had a user understanding session to focus all our FP7 DIADEM research projects. We’re developing intelligent mobile agents to support environmental monitoring. The agents will communicate socially with people to gain information on environmental pollution and combine this with sensor data. We are also designing technology and interfaces to support environmental expert collaboration. The Human Computer Interaction course has started! This year we’re tackling innovative Mobile Interface design in collaboration with LG! The students are busy with context analysis as we speak! On the foto we’re setting up our new studio classroom for the first lecture .